Using terminology from the Myers-Briggs Type Indicator, Ruth Lewis will lead a discussion of how music study is superb for developing all aspects of perception and judgment and how it leads to balanced type development. For those new to the terminology, a brief overview will be given first. ​Ruth Lewis holds the Teacher’s and Performer’s diplomas in piano from the Royal Conservatory of Toronto and a Master of Fine Arts degree in organ performance from the University of Florida, where she studied organ and harpsichord with Willis Bodine. Certified in piano and organ by FSMTA and MTNA, she has maintained a private piano teaching studio in Gainesville for over 40 years. In FSMTA she has served as District III President and as Vice-President and President of the Gainesville MTA. Ruth performs in the Gainesville area as pianist, organist, harpsichordist, chamber musician and choral director. Her most recent and cherished musical endeavor has been as founding Artistic Director and Conductor of Voices Rising Community Chorus. Begun in the fall of 2013 as an intergenerational chorus, with 72 singers in attendance, VRCC now boasts over 120 singers ranging in age from 8 to 80+. Last fall the chorus was recognized nationally for its creative work in bringing together multiple generations, receiving 1st place in the video category of the Kraemer Intergenerational Story Contest. This presentation will offer a basic overview of common orthopedic injuries experienced by musicians, risk factors for developing injury and potential treatment options. Injuries to be discussed include acute and chronic injuries from overuse or misuse in addition to the numerous causes of these injuries including postural deficits, change in musical load/intensity, poor overall physical fitness, and psychological stress. Injuries sustained in the shoulder, wrist, spine/neck, elbow, and hand/fingers will be reviewed. The provided information will assist the attendees in recognizing, treating and preventing common musculoskeletal conditions in the music making population. Dusty Marie Narducci, M.D. C.A.Q. S.M. completed a Family Medicine Residency at Houston Methodist Hospital and a Sports Medicine Fellowship at the Mayo Clinic. Currently she is an Assistant Professor for Morsani University of South Florida School of Medicine, and Assistant Director of the University of South Florida-Morton Plant Mease Primary Care Sports Medicine Fellowship. She is Team Physician for the University of South Florida and Saint Leo's University and is currently completing a Faculty Development Fellowship at the University of North Carolina, Chapel Hill. She is well practiced in multiple levels of sporting competitions and events. She has published in the Clinical Journal of Sports Medicine, Journal of Family Practice, British Journal of Sports Medicine, Sports Medicine Journal, International Journal of Surgery, Case Files Family Medicine, and 5-Minute Sports Medicine Consult 3rd Edition. In addition to presenting at numerous national conferences, she is involved in medical podcasting and serves on the Publications Committee for the American Medical Society of Sports Medicine. Unlock a healthy balance of mind and body through music, Qigong, Tai Chi and western medical research to achieve an optimal state of wellness and performance in your life. Rose Grace, a Russian-born pianist, has concertized throughout the USA as a soloist and chamber music recitalist. Rose is an Associate Professor of Piano at Bethune-Cookman University in Florida. Degrees: Doctorate from the Eastman School of Music, Masters in Musicology from University of Chicago, and BM from the Oberlin Conservatory. Title: Performance Anxiety: "It's Not Easy Bein' Green"
Presenter: Julie Jaffee Nagel, Ph.D. Performance anxiety is more than feeling nervous on stage. It reflects many obvious and subtle feelings. This presentation will describe some of multiple factors that contribute to performance anxiety, offer concrete coping strategies, and explain some of the underlying issues that may result in both psychological and physical symptoms that can derail (or increase) performance enjoyment. A surprise guest will assist in the presentation. Based on our belief that a teacher teaches the “whole” person (and not just the musician or the performer) we have developed the model of the “joint” Master Class. Louis works with a student on pedagogical issues and Julie talks with the same student about some of the psychological feelings that may inhibit or enhance their performing. In doing so, we have found that we can provide new “tools” and offer a sense of greater security to students both about performance and about themselves in life and on stage. In doing so, we creatively reexamine expanding the scope of the traditional Master Class. Hearing wellness is a vital part of any music industry career. In this session, renowned music audiologist, Dr. Heather Malyuk, will present valuable information regarding the structures of the ear, research in musicians’ hearing, and easy-to-understand information on hearing protection and what to know before scheduling an appointment with an audiologist. This session aims to empower attendees to become advocates of their own hearing and gain needed knowledge to discuss introductory hearing wellness with students. Canadian pianist, Diana Dumlavwalla is an Assistant Professor of Piano Pedagogy at Florida State University. Previously, Diana taught at Western University where she developed the faculty’s inaugural doctoral piano pedagogy course. She also serves as a member of the Royal Conservatory of Music’s College of Examiners and adjudicates at local, regional and state/provincial competitions. As a soloist and chamber musician, Diana has performed in North America, Europe and Australia. 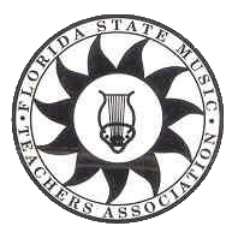 She has presented lecture recitals and papers at numerous conferences and her research has been featured in journals such as American Music Teacher, Canadian Music Teacher, and the Florida Music Director. Recently, Diana was awarded the 2018 MTNA E-Journal Article of the Year. She is currently the Collegiate Chapter Chair of FSMTA. Dr. Dumlavwalla holds a D.M.A. degree from the University of Toronto, M.Mus. from the Royal College of Music in London and B.Mus. from Wilfrid Laurier University. Title: Keeping the spark Alive After 50 Years of Teaching: Pedagogical Tips from A to Z! Ingrid Jacobson Clarfield, Professor and Head of the Piano Division at Westminster Choir College of Rider University, is a nationally recognized performer, clinician, and author. She has presented workshops, lecture-recitals, and master classes in over 150 cities in 40 states across North America, including many presentations at State and National MTNA Conferences and other prestigious conferences and festivals. ​Ms. Clarfield maintains a private studio where her pre-college students have won numerous awards in state, national, and international competitions resulting in performances in such venues as Lincoln Center, Carnegie Hall, Weill Recital Hall, Kennedy Center, Merkin Concert Hall, Steinway Hall, and several concert halls in Beijing. She is the subject of a documentary entitled: Take a Bow: the Ingrid Clarfield Story.